THE eagerly-awaited British & Irish Lions replica match jersey was made available to pre-order today and Head Coach Warren Gatland believes fans will again show their support by wearing the iconic jersey. The pre-order announcement ahead of the jersey’s unveil on November 1, 2016 marks the latest step on the road to New Zealand for Canterbury who were selected to partner with the Lions due to their unrivalled experience in rugby dating back more than 100 years. After four years of waiting, fans are now able to purchase the replica of the jersey that will be worn by the Lions when they begin their Tour of New Zealand, with the first match set to take place on June 3, 2017. Canterbury will also give 25 fans who pre-order the replica jersey an exclusive opportunity to see it before the rest of the world; a reward to the world’s most committed rugby fans. 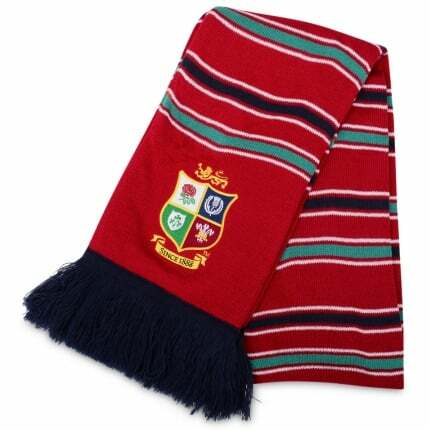 The British & Irish Lions replica jersey, set to be officially unveiled on the 1st November, is available to pre-order now at www.canterbury.com where fans can win the chance to see it before the rest of the world.